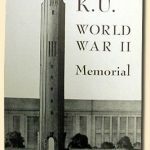 Shortly before the end of the Second World War, the University of Kansas appointed a Memorial Association Committee in order to erect a monument honoring the KU students and faculty who died during the war. 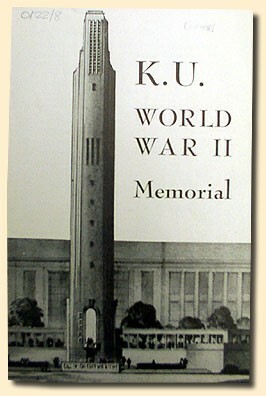 Out of 17 proposals, a campanile with a memorial carillon was chosen, mainly because, being a non-utilitarian project, it was considered to be most suitable to act as a long-lasting living memorial for those who fell in the war. 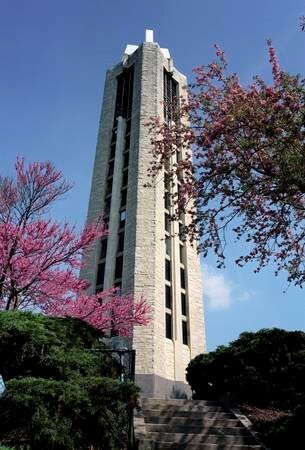 In 1950, a 120-foot campanile was built of native Kansas limestone after a design of Homer F. Nevill. 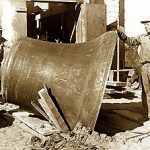 In 1951, English bell-foundry John Taylor and Co. delivered a carillon of 53 bells. The instrument was dedicated by Belgian carillonneur Anton Brees on 27 May 1951. 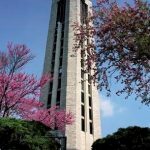 In 1996, the carillon was thoroughly renovated by the Verdin Company and Meeks & Watson. 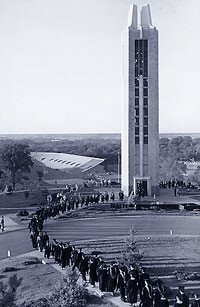 The carillon of the University of Kansas played an important role in the development of the carillon art in North America. 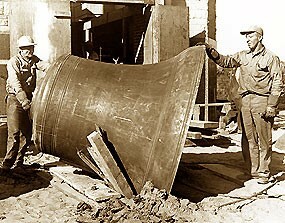 More specifically it was instrumental in the emergence of distinct American carillon music. Shortly after 24-year old Ronald Barnes was appointed university carillonneur, he encouraged his colleague Roy Hamlin Johnson to compose for the instrument. In 1956, Johnson wrote the work Summer Fanfares, which fully exploits the musical potential of sonorous English carillons in a quiet and inspiring neighborhood. Barnes premiered the piece at the congress of the Guild of Carillonneurs in North America that was held at his university later that same year. Later, Johnson wrote other iconic pieces for carillon, followed by his fellow KU professors John Pozdro and Gary White. 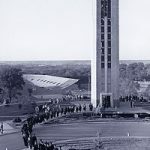 Albert Gerken, Barnes’ successor as university carillonneur, continued the rich compositional tradition of the University of Kansas, writing often-played carillon works as Pastel in Bronze and Prelude and fugue. Free government does not repose upon its citizens, but sets them in the vanguard of battle to defend the liberty of free men.